American Craftsman Renovations offers the best home remodeling and renovation services to property owners in The Landings at Skidaway Island. 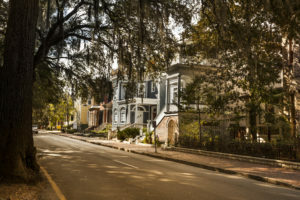 We are your trusted Savannah Georgia general contractor servicing the Greater Savannah area and provide homeowners with the following services: kitchen remodeling and renovations, bathroom remodeling and renovations, home additions, structural repairs, roof repair and replacement services. Our Savannah Georgia general contractor can help you create a unique space that is more inviting and functional to your needs. From enhancing your kitchen to creating a spa like retreat, we are here to help you create the perfect space or spaces in your home. We will work with you one on one throughout the entire project to ensure your wants and needs are identified so that our final project accomplishes those goals. We are not like other Savannah Georgia general contractors our out of state firms that are looking to rush through your project, completing it as quickly as possible. We take our time with your project, ensuring we provide you with exceptional customer service and quality workmanship on every project we do for you. Trust us to get the job done the right way the first time on your home addition, kitchen remodeling project, or bathroom renovation. We are committed to excellence and want to help you create a beautiful and functional space in your home for you to enjoy for years to come.